Our cafe is privately owned, and prides itself on quality, made-to-order food and just about the best coffee you will ever have in your life. 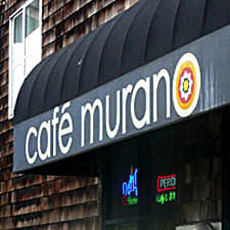 The owner has over a decade of experience in espresso & mediterranean cuisine. We have outdoor seating, for when it's sunny, and cozy couches inside - for when it's not. Free wireless internet available for all of our customers.